Louie Giglio's Comeback: "I Came Back and So Can You!" 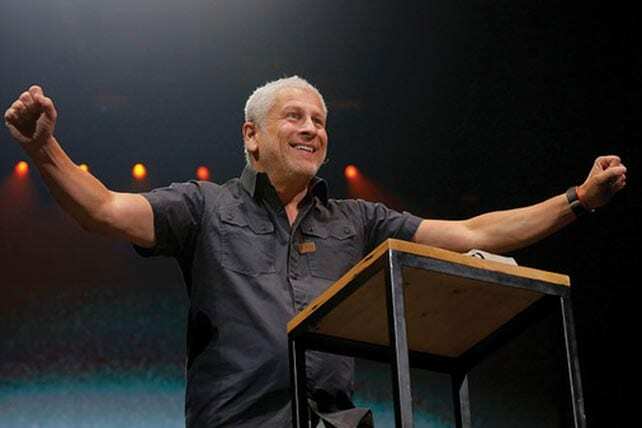 You could call Louie Giglio the “comeback kid”–especially if you know his entire story. ChurchLeaders podcast spent time with Louie recently. Are you at a place in life where you think God is done with you? Maybe you feel that way because of your sin, someone else’s or for no logical reason at all. Louie Giglio said he’s been there. The founder of the Passion Conference and Pastor of Passion Church in Atlanta, Georgia told his story on the ChurchLeaders podcast. He also shared it in his book, The Comeback. In 2008, Giglio was hit with a series of life altering storms and fell into a hole of depression and anxiety that lasted several months. He said he found himself in a dark tunnel. The depression attacked him physically and emotionally. Giglio removed himself from the world and needed medical help. He doubted that he would ever preach or sleep again. Giglio doesn’t know why it happened acknowledging that a lot of our stories don’t have neat, tidy, everything changed answers. But he now has some insight into what is needed to get out of a spiral of depression. Giglio reached that point when he found himself flat his back, in tears, “done and finished.” It was then that God gave him a song of praise. It sounds like a terrible place to be but Giglio said it’s only when we get to the bottom that we start to talk to God differently. A person at the bottom is also open to other people and more vulnerable to God’s leading. The second factor for Giglio was worship. Through it he realized the power to shift focus away from himself and to the faithfulness of God. Even if God’s faithfulness is not affirmed, focusing on it reorders our thinking and the atmosphere. Giglio wonders if Paul didn’t fight his own demons of depression and anxiety and perhaps even “wanted to jettison it all.” But in the end Paul found success in continuing to preach the gospel and not losing hope in his faith.